AUGUSTA, Maine — A teenager who told authorities she "snapped" and killed her parents while struggling with gender identity and acceptance was sentenced Tuesday to 40 years in prison. Andrea Balcer, who was 17 at the time of the fatal stabbings, asked for forgiveness from her remaining family members, many of whom had called for the maximum penalty. Her attorney argued that the teenager was dealing with her transition from male to female in isolation and without family support at the time of the killings. She had no criminal record before the violence early on Oct. 31, 2016, in the family's Winthrop home. CBS affiliate WGME-TV reports Balcer also killed the family's pet chihuahua because it kept barking. Family and friends disputed the notion that the parents, Alice and Antonio "Tony" Balcer, were anything less than loving and supportive to Andrea and Christopher. "To justify these killings because of sexual identity or gender disphoria beliefs is truly a cowardly act. Andrea should be ashamed of herself for it," Pierce added. 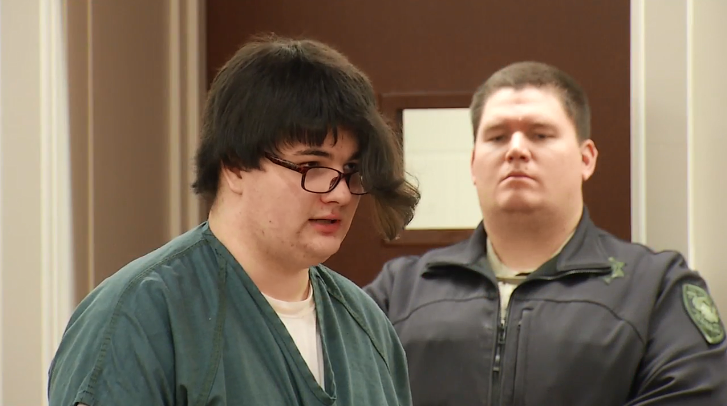 Tony Balcer's mother also spoke in court, according to WGME-TV. "The time I would have had with him has been stolen from me and my family. And our lives will never be the same," Christine Doval said holding back tears. Balcer allowed her brother to escape, telling him, "It's not your day," the brother said.